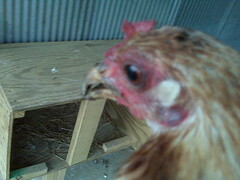 Lil’ Chicky Poo’s had a swollen eye/face since the weekend. We thought it was an abcess but an attempt at draining was futile. I believe antibiotics are necessary. 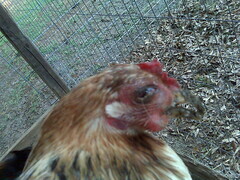 In case you can’t tell how bad it is: the last pic is her good side, i.e. that’s what she’s supposed to look like.